Eating Up Easter, a film by Sergio and Elena Rapu, has received a 2019 Working Films Impact Kickstart! The Impact Kickstart offers in-kind strategy development to underrepresented documentary makers with feature films in progress that hold great promise to catalyze action to address critical issues of our time. Selected filmmakers work with Working Films to customize a package of services that best meet the needs of their individual project and leave them well positioned to fully fund and carry out an impact campaign. Find more information about the Kickstart and other recipients here here. 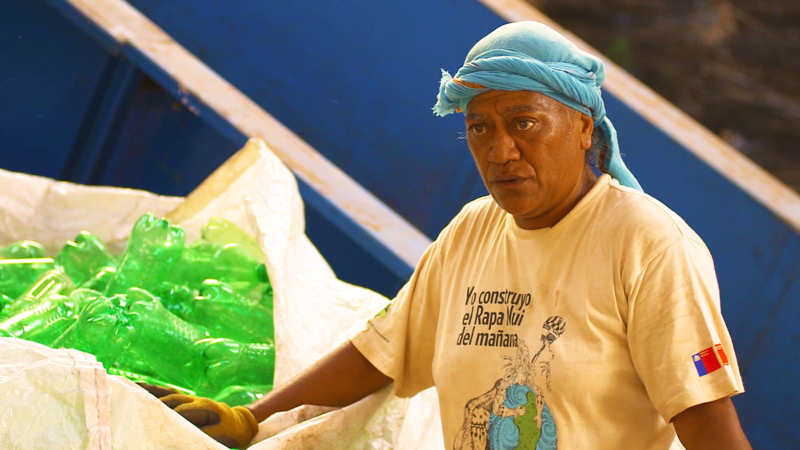 Eating Up Easter, directed by native Rapanui filmmaker Sergio Mata’u Rapu, explores the dilemma his people are facing. Crafted as a story passed down to his newborn son, Sergio intertwines the authentic history of the island with the stories of four islanders. In their own voices, these Rapanui reveal the reality of modern life and the actions they are taking to preserve their culture and environment amidst rapid development. Find all upcoming screenings here.